A research paper might have a long list of authors, especially in the times of advanced scientific technology and many sites of collaboration. This is expected, and it is important to include the names of all those who contribute to the research. A characteristic of research papers from The Large Hadron Collider at CERN, France and Switzerland, is that there are usually hundreds of authors, and according to New Scientist (September 24th 2016) the first author has always, until very recently, been Georges Aad (by now very famous) as the authors have been listed alphabetically. When it comes to review articles, we might expect more than one author, perhaps just two or three. And so it was very surprising to come across a review article in a recent edition of The Lancet that had 28 authors. The first author is Professor Sir Rory Collins from Oxford University. After the first three authors, the next 24 appear to be in alphabetical order, with Professor Sir Richard Peto given the final place on the list. Why does a review article require so many distinguished authors? 21 are professors and so they are obviously past the stage in their professional careers that requires their names to appear on as many publications as possible. What can be the purpose of a review article that requires so many distinguished authors? It might be thought that we have heard enough of statins being wonder-drugs saving countless thousands of lives. What's new? – Nothing! The randomised controlled trials were published several years ago and statins are the most widely prescribed drugs in the world. Why is it necessary for such a review to be published in The Lancet at this stage? The stated aim at the start of the paper is expressed as follows: "This Review is intended to help clinicians, patients, and the public make informed decisions about statin therapy for the prevention of heart attacks and strokes." I doubt if many clinicians will read this paper (30 pages) and its references (307). It is tedious and far from an easy read. To expect patients and the general public to read it is ridiculous. The statin trials are based on the diet–cholesterol–heart hypothesis, which is far from robust. The statin trials are therefore not objectively simple drugs trials, but are seen by the evangelists of the hypothesis to be strengthening the cholesterol–heart hypothesis itself (the diet component appears to be quietly dropped). We usually see in the title “Cholesterol-lowering with statins….”, which links the two variables. Statin medication is carefully controlled in the trials and is randomly allocated to half of the participants. But the cholesterol effect is not controlled: it is just observed in response to the statin medication. There are many cholesterol sceptics, and I am one. By this I mean that the proposal that cholesterol causes coronary heart disease (CHD) does not stand up to serious scrutiny. Nor does it follow that statins are of benefit because of their undoubted cholesterol-lowering effect. A paper of mine was published in The Lancet (Lancet. 2006 Jul 1;368(9529):83-6) a number of years ago, questioning the way in which statins are helpful, the mechanism likely to be other than cholesterol-lowering. I drew an analogy with the treatment of epilepsy a century ago. At that time it was thought that epilepsy was caused by excessive masturbation (no-one defined "excessive"). The logical treatment was therefore bromide, the purpose being to suppress sexual fantasy and arousal. The treatment worked, but for reasons disconnected from the logic (bromide was later replaced by phenobarbitone, a sedative and anticonvulsant). Similarly, the idea that cholesterol causes CHD led to a logical treatment with cholesterol-lowering remedies. Of these only statins have been found to be effective, but this is empirical treatment and its effectiveness cannot be assumed to result from the logical indication. Scepticism of the diet–cholesterol–heart hypothesis does not please Collins, the current leading exponent of the dogma. By the use of 28 distinguished authors and 30 pages of the prestigious Lancet, the paper is clearly designed to intimidate and silence sceptics. This sort of thing has happened before the present time. During the first 300 years of Christianity, there were many different churches, many different books about Jesus and the events subsequent to his crucifixion. All were probably contented, that is until Christianity was hijacked by the Roman Empire. In 313AD the emperor Constantine the Great put an end to the persecution of Christians and he himself embraced the religion. 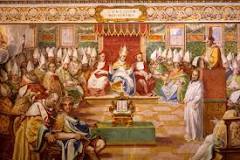 It became the official religion of the Roman Empire in 380AD (the Edict of Thessalonica). However this gave no regard to the fact that different people or churches had different views of Christianity. 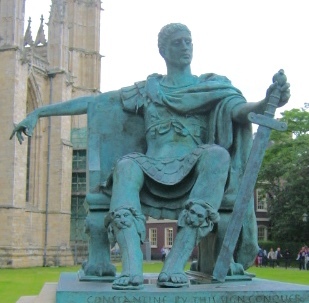 Constantine declared himself the head of the Christian Church, not just the Emperor of the Roman Empire but also the “Emperor of Christianity”. If his authority was to be respected then the church must be unified. 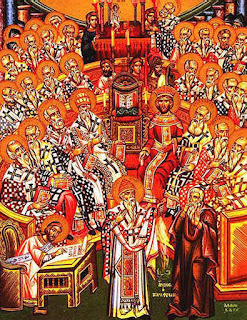 To achieve this he convened the ecumenical Council of Nicaea in 325AD, with about 300 bishops being present. It was what we would call today a “consensus conference”. 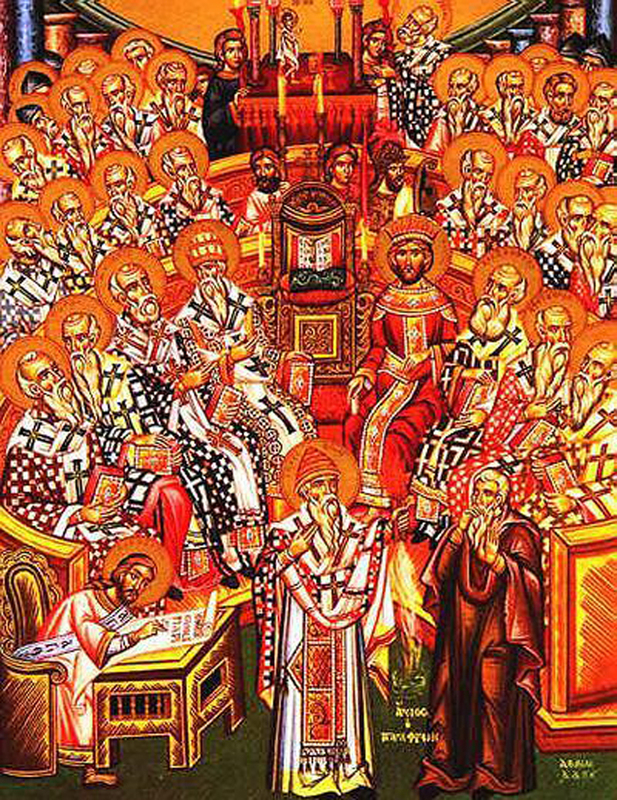 The result was the Nicaean Creed (the "consensus statement") which stated the official view of Christianity. The Creed was of course supported by a ruthless treatment of heretics in the western church. There was also a problem with the many books about Jesus and subsequent events in the first century of the present era. Many were rejected and considered to heretical, and following their destruction or disappearance, heterodox views were suppressed and lost. Aspects of what must be regarded as the “truth” were hidden from the public domain and only few people know of those that have survived. The paper by Collins et al in The Lancet is not unlike The Nicaean Creed (but much longer), and the 28 authors are not unlike the Council of Nicaea. The objective is clearly to suppress heterodox views and to bring to an end dissent of the diet-cholesterol-heart hypothesis. And also of course to bring to an end any debate or discord over the extensive and uncritical use of statins (“statins for all by the age of 50” - The Lancet). As we will see, statin drugs are of undoubted benefit, but there remains concern as to how much benefit. Does everyone benefit or just a few? There are side-effects; these can be troublesome but not dangerous. Do the benefits outweigh the side-effects? The side-effects are uncommon, as the Lancet paper describes at great lengths. There are those who feel that the side-effects outweigh the benefits, but the paper strongly disagrees with this. The main side-effect is muscle pains, troublesome but not serious. It would be as well to know what the benefits are. The thrust of the paper is that all reliable evidence comes from the controlled clinical trials. The first section of the paper was to review the purpose and conduct of clinical trials in general, not really relevant to the alleged purpose of the paper but designed to strengthen authority. The paper also warns against using information obtained from observational studies – only the clinical trials are to be regarded as important sources of information. Unfortunately, the original data from the trials are held by the pharmaceutical companies that commissioned them. When it comes to the absolute reduction of death rate, the paper mentions a measure the origin of which is not clear. The absolute effect is assessed indirectly by the mmol/L reduction of LDL cholesterol. Remember that cholesterol is attached to protein in the blood and is found in three major forms: low density lipoprotein (LDL, “bad” cholesterol) very low density lipoprotein (VLDL, small in amount and not of major importance), and high density lipoprotein (HDL, the “good” cholesterol). The Lancet paper refers to LDL cholesterol, as is usual in more recent studies. 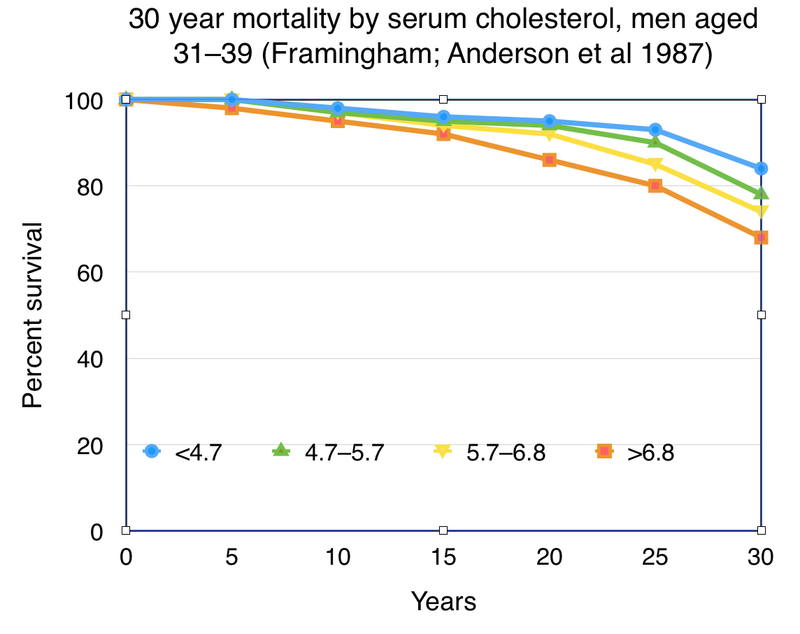 Although blood level of cholesterol predicts the risk of death in the younger men, in older men there is no difference in 30 year survival based on the blood level of cholesterol. This is shown clearly in Figure 2. It is only to be expected that survival is much less in men aged 56–65 than in those aged 31–39. In the older age group, only 10% survived 30 years, that is to the age of 90. The survival curves are the same in all cholesterol groups. 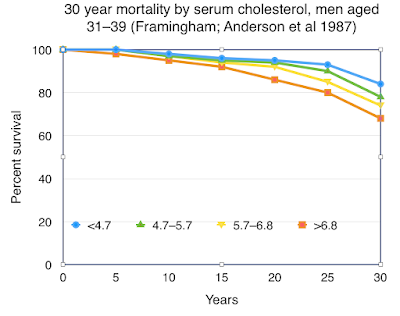 The graph in Figure 1 (younger men) is used by cholesterol enthusiasts as a basis to predict a reduction of CHD deaths or events based on the reduction of blood cholesterol by statin therapy. The result in young men is usually extrapolated to older men and to women. Figure 1 provides the basis for the use of absolute reduction of CHD deaths/events (improved survival) per mmol/L reduction of LDL-cholesterol. 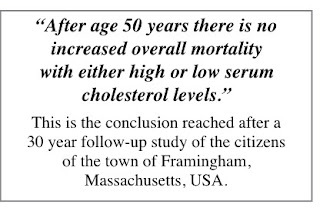 However the Framingham study was observational and so predictions based on it should be cautious. 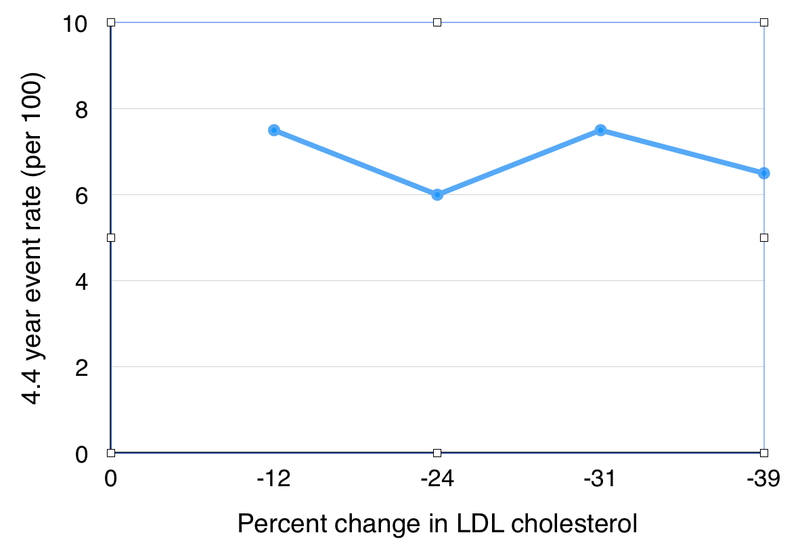 This expression of a reduction of CHD deaths/events by statin therapy based on cholesterol-lowering is indirect and it is far from clear in the statin trials. It is a prediction. Unfortunately, and probably by design, the original data from the various trials are not generally available. The data are held by the pharmaceutical companies that commissioned the trials, and they have not been released despite frequent requests from independent academics led by the British Medical Journal. The first published statin trial of the primary prevention of CHD deaths using statin drugs was conducted in the West of Scotland: the West of Scotland Coronary Prevention Study, known as WOSCOPS. It was published in 1995, but there was an important second paper published in 1998. This contained a great deal of original data, the equivalent of which has not been made available in the publications from the statin trials published later. WOCOPS was a randomised controlled trial of pravastatin involving 6595 men aged 45–64 years with an average blood cholesterol level 7 mmol/L (272 mg/deciliter), and followed up for 4.9 years. The men recruited into the trial had no previous clinical features of CHD – it was a primary prevention trial. At the end of the study period, 4.1% of those in the placebo control group had died, and 3.2% in the pravastatin treated group. Pravastatin appeared therefore to be effective. It is important that there is a reduction of total deaths, as the easiest way to reduce only CHD deaths would be to cause an increase in deaths from something else. The results show both definite coronary events and definite plus suspected coronary events. For the purpose of this brief analysis I will use the “definite + suspected” data. Deaths from definite + suspected CHD were 1.9% in the placebo group and 1.3% in the pravastatin group. Non-fatal MI occurred in 7.8% of the control group and 5.8% in the pravastatin group. Again effectiveness of statin therapy. The absolute reduction of all-cause death was 4.1% - 3.2% = 0.9%, approximately 1%. The absolute reduction in CHD death was 1.9% - 1.3% = 0.6%. The absolute reduction of non-fatal MI was 7.8% - 5.8% = 2%. This is all simple and straightforward. The data is clearly presented in the WOSCOPS paper and it can followed easily. 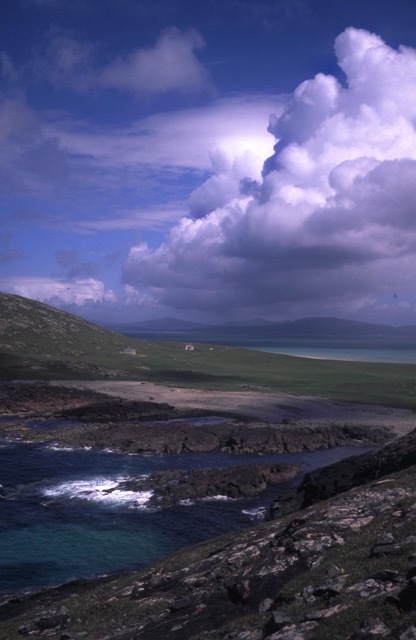 It logically means that for every 100 men aged between 45 and 64 years in the West of Scotland given pravastatin for five years, just one did not die as a result of the pravastatin (from 1% absolute reduction). It required 170 (from 0.6%, 100/0.6) to be treated to prevent one specific CHD death, and 50 (from 2%, 100/2) to prevent one non-fatal MI. These simple calculations can be expressed as the “number needed to be treated” (NNT) to achieve one endpoint, in this case death, CHD death or non-fatal MI. This is the best measure of effectiveness of a medical treatment, favoured by health economists but not by pharmaceutical companies. This clear and simple approach to assessing effectiveness is not presented in the paper by Collins and colleagues. A 0.6% reduction in CHD death does not sound very dramatic, nor does a 2% reduction of non-fatal MI. They would certainly not be good for the marketing of statins. Therefore the pharmaceutical companies, and the research doctors and statisticians who they support or effectively employ, express benefit as the proportional reduction of death or other event rate. This was used in the paper by Collins and colleagues. This widely-used calculation involves taking a percentage of a percentage, which is mathematically unsound. We see a 32% reduction of CHD deaths in WOSCOPS. By a similar calculation we can arrive at 25% reduction in all-cause deaths, slightly higher than the 20% in most subsequent statin trials. 32% and 25% sound to be much more dramatic than 1%. However it begs the question, 32% or 25% of what? The answer is a 32% and 25% reduction of the current CHD and all-cause death rates in people not taking statins. If the current death rate is high we can expect a significant population benefit, but if the death rate is low there will be very little benefit. 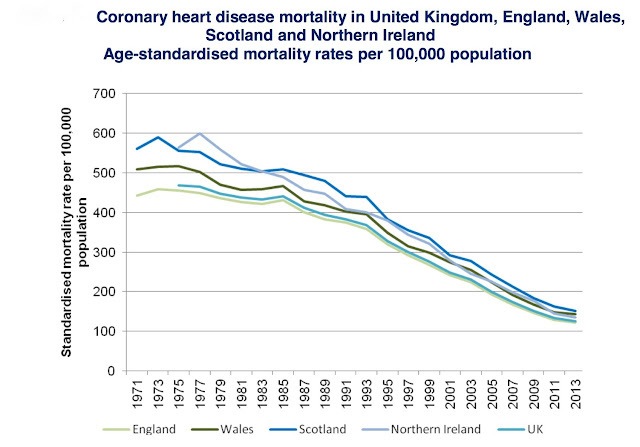 As the death rate from CHD goes down (a good thing), the NNT goes up (a bad thing). There must be point at which the NNT is so high that statin medication for healthy individuals ceases to be of benefit to the population. In the West of Scotland in the 1980s (the time of recruitment into WOSCOPS) the total death rate in middle-aged men was 4.1% after five years, as we have seen in the control population. This is 0.8% per year, and it equates to 800 per 100,000 per year. The background CHD death rate of these men in the West of Scotland in the 1980s was 1.9% after 5 years, or 0.4% per year (again from the control population). This is 400 per 100,000 per year. We can therefore see that half of all deaths in this age-group and in this location at this time were due to CHD. This was the epidemic at its greatest. Here we meet a problem. The calculation of the death rate from the specific group studied in WOSCOPS does not immediately translate into the data that comes from national statistics. In 1970 the peak death rate of 600 per 100,000 in Scotland was age-standardised, whereas WOSCOPS presented raw data that had not been manipulated for the purpose of national and international comparisons. WOSCOPS, like other trials was snapshot, and we must look elsewhere if we wish to see any change in CHD deaths with time. We can see in Figure 3 (from the Scottish Office) that the age standardised male death rate from CHD in Scotland has fallen from 500 per 100,000 at the time of recruitment to WOSCOPS in the 1980s to 150 per 100,000 in 2013. This equates in 2013 to 0.15% per year CHD deaths, 0.75% at five years. We can expect statins to reduce the 2013 death rate at five years by 25%, from of 0.75% to 0.56%. The absolute reduction is therefore 0.19%. We can round this to 0.2% and the NNT is therefore 500 (0.2 x 500 = 100). This means that in 2013 in Scotland, 500 men aged 45–64 would need to take a statin for five years for one death to be delayed (immortality is not an option). The NNT would be about 1000 for women of that age whose death rate from CHD is about one half that of men. It would be much greater for men in their 40s than for men in their 60s. If the annual death rate in men at the age of 40 were 0.015% rather than 0.15%, the NNT would be 5,000 and for women 10,000. The age range of recruits into WOSCOPS was between 45 and 64 years. This is a wide age range. At present in the UK the risk of CHD death in men in the 55–64 age group is three times higher than in the 45–54 age group. This would mean a three times greater NNT. In the age group 35–44 the CHD death rate is one-ninth than in 55–64 age group, with a corresponding nine times greater NNT. This would be 18 times greater in women age 35–44, about 10,000. Hopefully not many healthy younger women are taking a statin. The NNT is the true measure of the benefit of statins (or any other medication), and it is against this that the disadvantage of side effects must be balanced. There is also the financial cost to be considered. The present cost of 500 men treated for five years must be borne by the one who benefits and does not die during the five years. At the time of WOSCOPS only propriety pravastatin was available, the price being approximately £1 per tablet. For an NNT of 200 to prevent one CHD death the cost would have been £365,000, perhaps judged to be good value for money at that time. For reduction of all-cause death the cost would have been half that, £180,000 (there were slightly fewer trauma deaths in the pravastatin group). The price of a non-proprietary 40mg pravastatin tablet is now £0.066. With the present CHD death rate and an NNT of 500, the cost of preventing one male CHD death is £60,000 (giving the statin at about the age of 60 years). To prevent a female CHD death, £120,000. Whether or not this is good value for money is a matter of judgement, but it must be balanced against other competing health-care costs and financial pressures. In the younger women (35–44) with an NNT of 10,000, prevention (delay) of one death would cost £2.4 million! 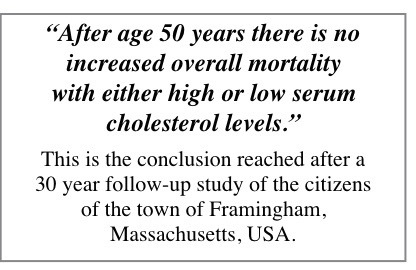 We have seen that one conclusion of the Framingham Study was that blood level of cholesterol did not determine life expectancy in men (and women) above the age of 50 years. 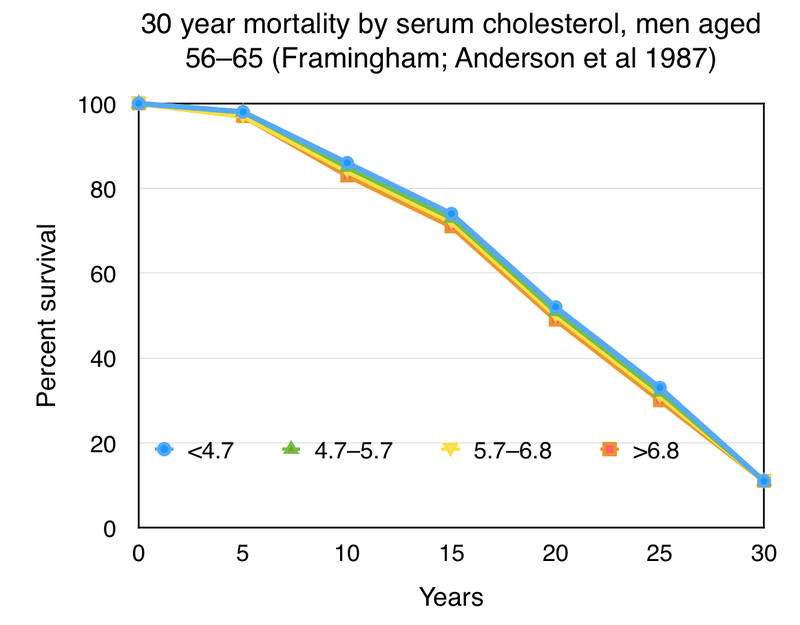 Other observational studies have shown a lack of positive association between blood levels of cholesterol and survival in the elderly (see previous Post). Some studies, and particular those from Paris, Honolulu and Connecticut, have shown that a high cholesterol level does not provide a survival disadvantage, and perhaps gives a longer survival. If despite this statins give an advantage, it would not be in keeping with the cholesterol hypothesis. Statins are prescribed only on the basis of blood level of cholesterol: in The Lancet, Collins et al make this clear. The paper discussed this apparent paradox arguing that there is no paradox. It is stated that the elderly with low cholesterol levels had cancer or some other near-fatal condition. This was excluded in the various studies. However the subjects in these studies would have been frail as they had lost their independence and they were living in residential accommodation. 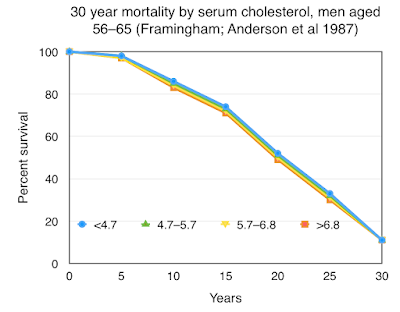 To refute the suggestion that blood level of cholesterol is not a determinant of survival in the elderly, or even that a high level might be an advantage, Collins and colleagues referred to a British Medical Journal paper from 1994. This paper investigated the possibility that a low blood level of cholesterol might be related to certain disease states and found a weak association only with brain haemorrhage. However the paper (observational) did not stratify the populations or samples according to age and it did not not mention age-groups. Similarly it did not measure life expectancy, which is the measure in the more recent cholesterol–survival observations in the elderly. This paper was misrepresented by Collins and his 27 colleagues. I wonder how many of the authors had actually read the paper (and its 309 references) to which their names were added. CHD death reduction and cholesterol lowering. The Lancet paper did not use the simple direct method of calculating benefit, but the cholesterol-lowering transposition. The second WOSCOPS data gives insight into this. The study divided the subjects taking pravastatin into five groups (quintiles) based on the change in the blood level of cholesterol during the study. The observed death rate for each group enabled an assessment of the relationship between death rate and cholesterol-lowering. The results are shown in Figure 4. 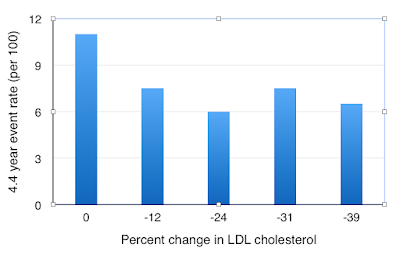 In the first group (left) there was no change in the blood level of cholesterol (percent change = 0). This was at first puzzling, but it became clear that the men in this group had not actually taken the pravastatin, or at least not reliably. Compliance can be checked in most trials today by detecting randomly the blood level of the drug, but this was not possible in WOSCOPS. We can see that this group, who appeared not to have taken the pravastatin, had the highest death rate of the five groups. In the other four quintiles there was lowering of cholesterol, by 12%, 24%, 31%, 39%. The tablets had been taken and blood levels of cholesterol had fallen by these amounts. The death rate was reduced in all groups, but unexpectedly by about the same amount. There was clearly no association between the quantity of cholesterol-lowering and reduction of CHD death rate. 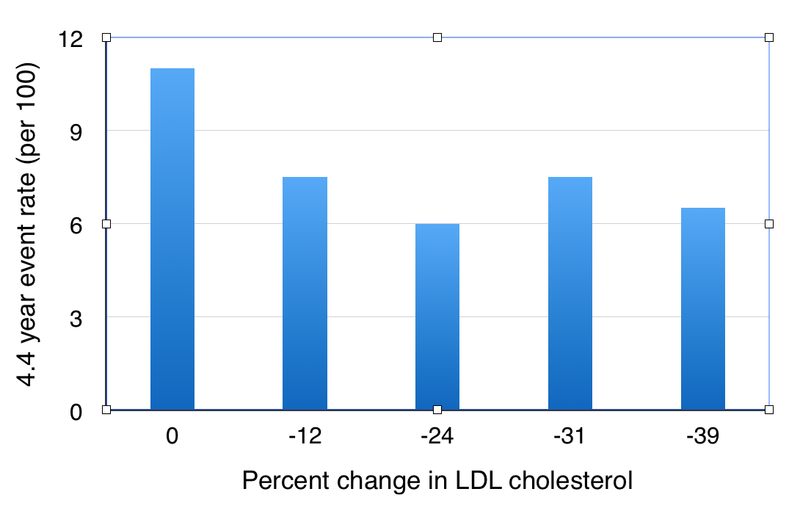 This is clear from Figure 5, which removes the group in which there was no change in cholesterol (statin not taken). This detail of data has not been made available from the other statin trials. It is ignored in the meta-analysis of Collins and colleagues, the Cholesterol Treatment Trialists’ (CTT) Collaboration. Most publications of CTT appear in The Lancet, perhaps an editorial bias by this journal. Not only has the truth been hidden from public view in this long and tedious Lancet paper but its highly prestigious multitude of authors is clearly designed to suppress dissent. I would recommend the two WOSCOPS papers (1985, 1988) as they are good examples as to how trial data should be presented, and then a deeper understanding of the data processing. It was an objective trial but its example was not followed subsequently. This heresy has now been suppressed, but it must not be forgotten. It is one of the major factors that invalidates the diet–cholesterol–heart hypothesis. WOCOPS was transparent but subsequent statin trials made certain that much data remains concealed. Defining a religion is hardly analogous to bureaucratic inertia in science. Appropriate analogies would be the persistence of bloodletting in the 20th century, the fierce resistance to Semmelweis theory of puerperal fever and the decades long battle of the Geology establishment against Wegener's continental drift. It is not a question of bureaucracy. 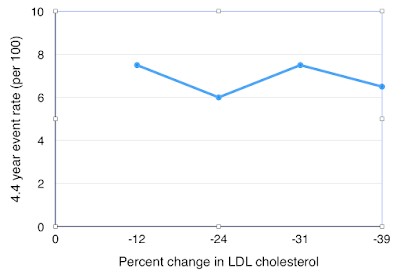 I admit that the diet–cholesterol story is a bit like a religion for some people – a belief or conviction in something that is objectively irrational. The analogy with the Council of Nicaea is that the paper described similarly attempts to squash dissent though weight of numbers rather than evidence. This is often the object of the "consensus conference". Truth cannot be decided by a vote. very informative. Thanks for sharing it with us. PK Domain (PVT) Limited is a provider of Shared, Reseller, VPS and Dedicated Web hosting, Web Designing & Development in all over Pakistan. Privately held and based in San Francisco, California, USA, the company was founded in 2002 by young entrepreneur.The Company is also providing Surveillance services all over Pakistan from 2012. You can check latest prices and packages on www.pkdomain.com.pk. The Company has also setup its International offices in various countries all over the world and maintaining web hosting servers from San Francisco, California.